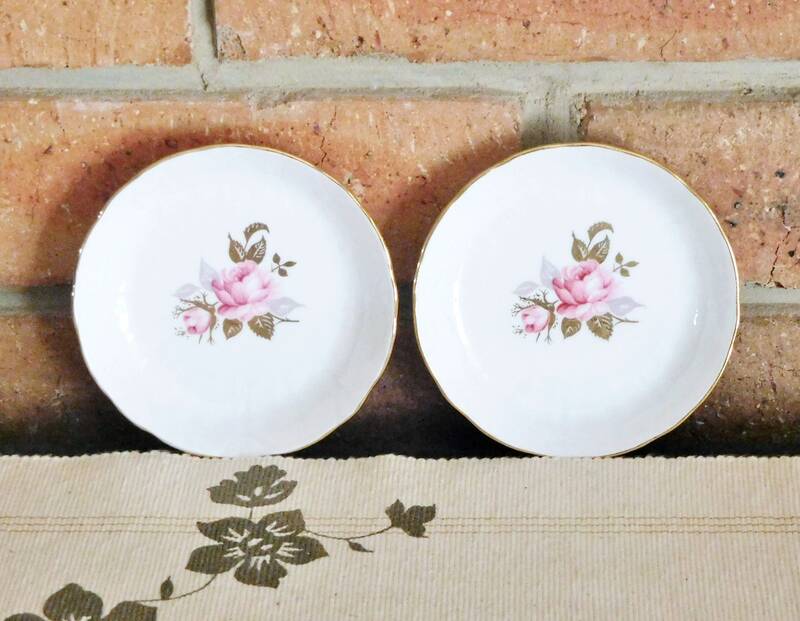 Aynsley 1930s Deco era pin dishes, trinket dishes or butter pats, sweetly pretty floral design with gilt finish. 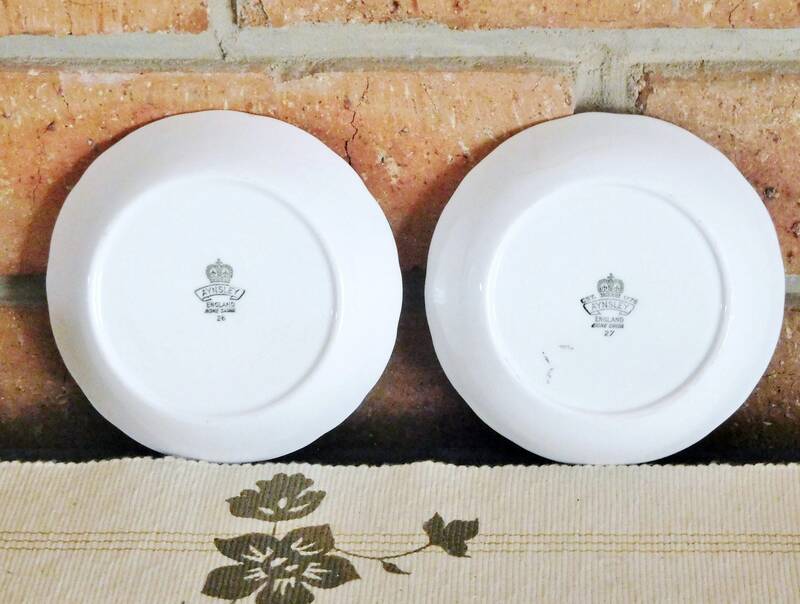 The design is one that was made right through to the 80s, however the backstamps on these exquisite little pieces irrefutably date one dish to 1934, and the other to 1939. Both of these beauties are in perfect condition.